Brian Eno artworks installed at Living Edge, Alexandria. Courtesy: Filter Fine Art, Sydney. 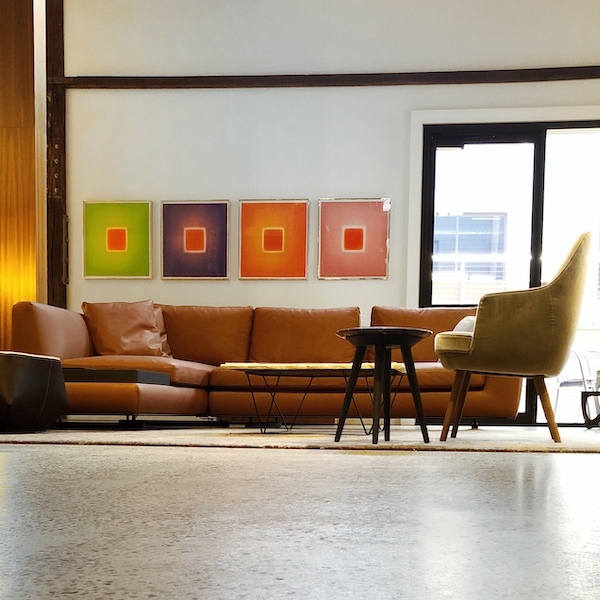 Filter Fine Art is working in collaboration with Living Edge to deliver a curated selection of artworks for their Sydney flagship showroom in Alexandria.